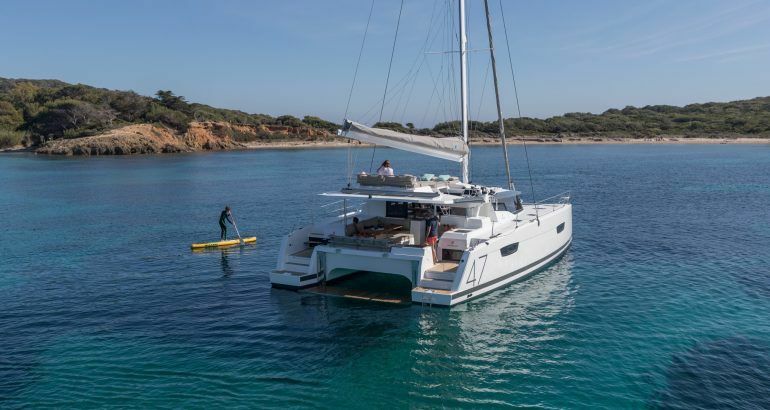 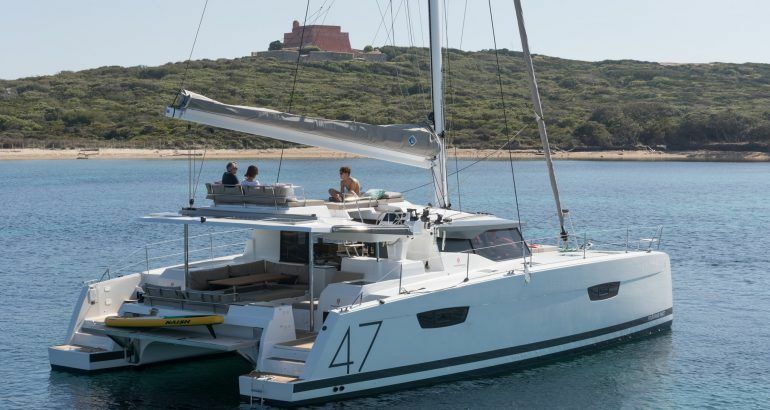 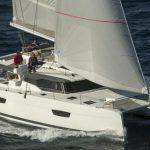 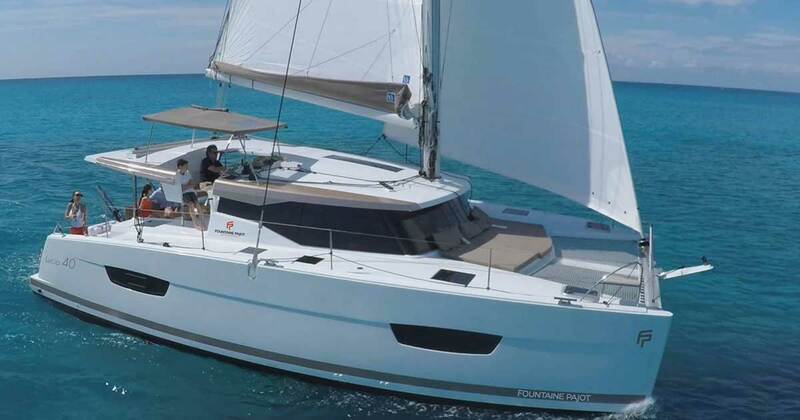 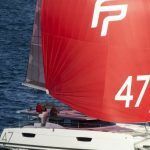 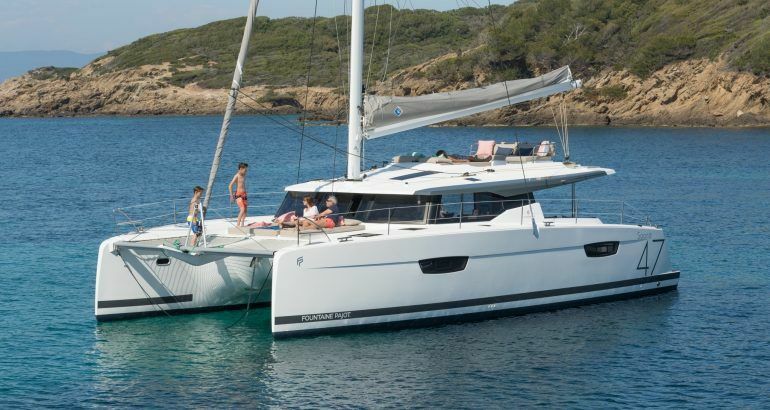 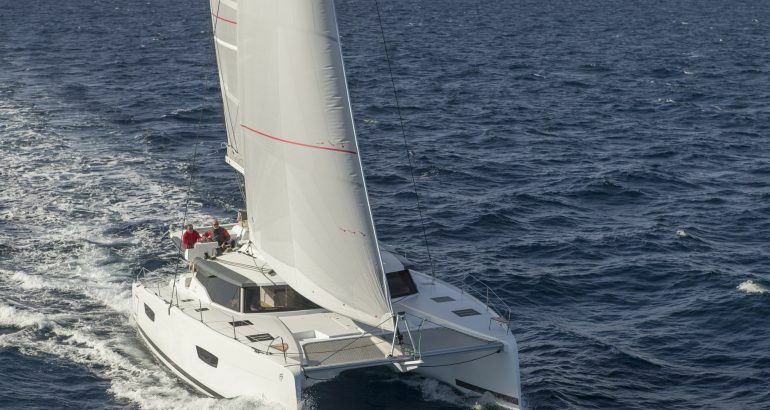 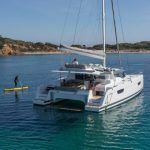 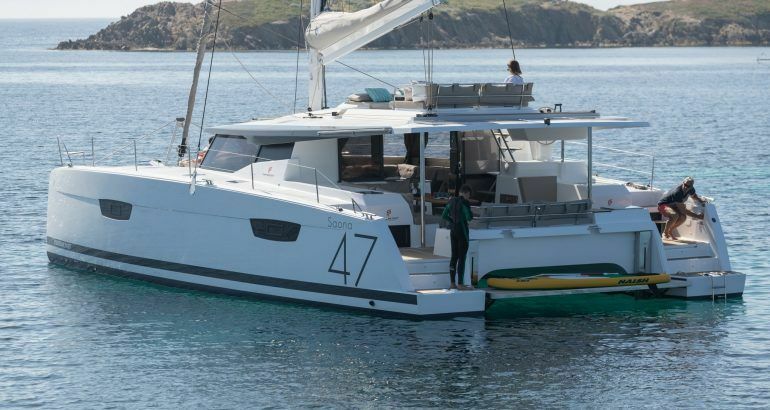 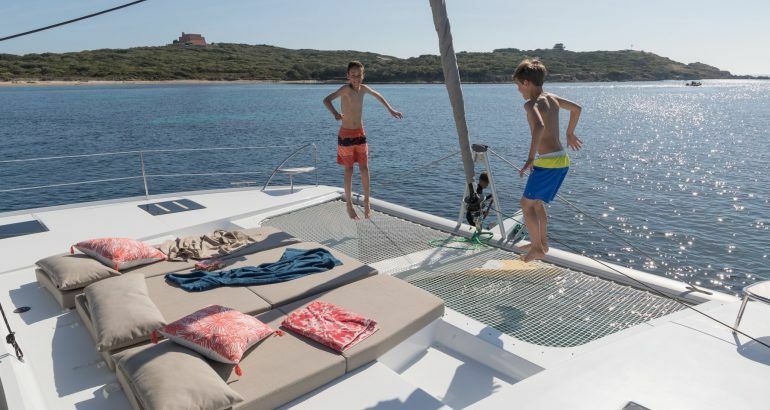 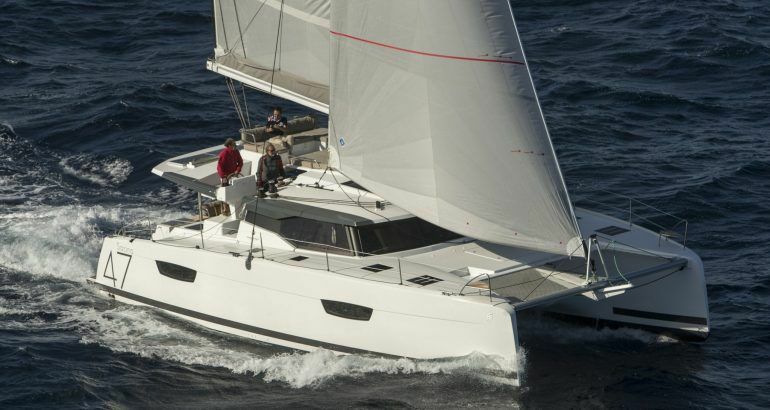 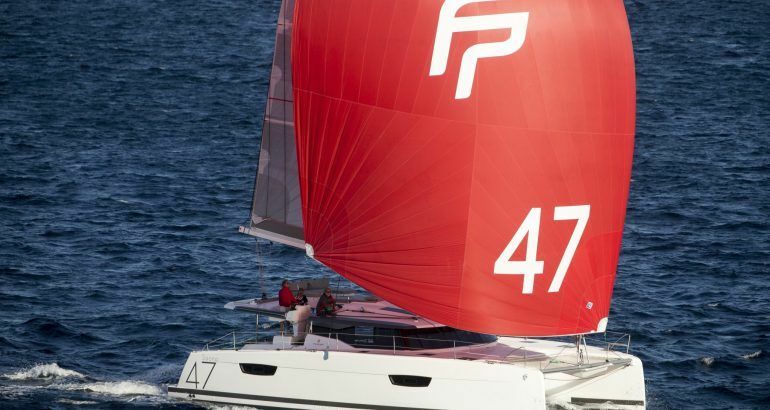 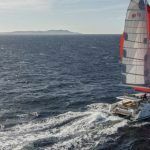 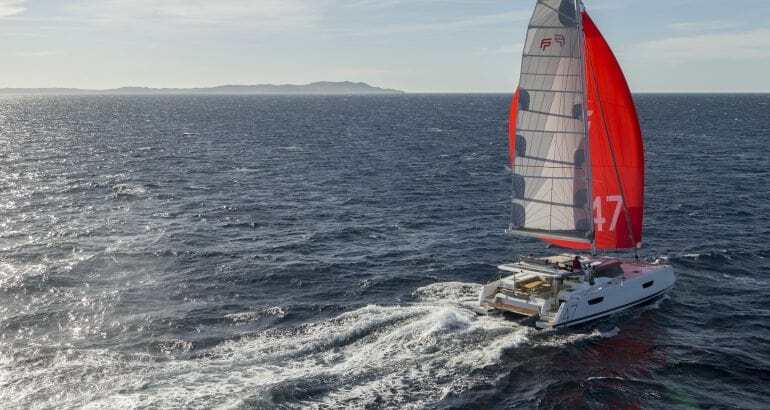 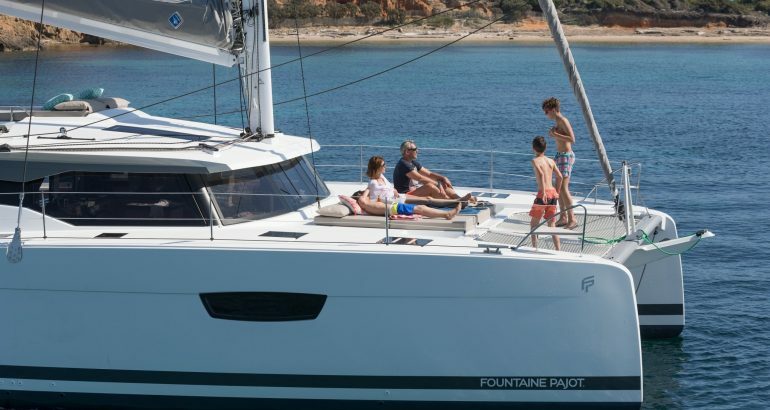 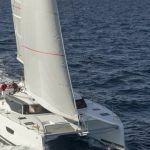 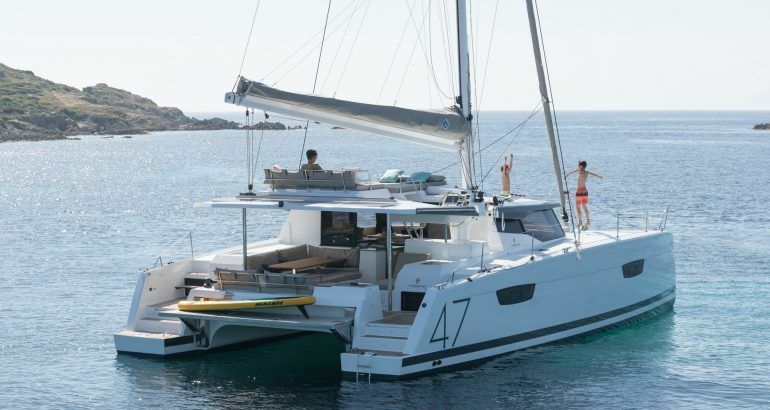 We are happy to offer you a brand new sailing catamaran joining our rental fleet in Croatia – the all new Fountaine Pajot Saona 47 for hire catamaran. 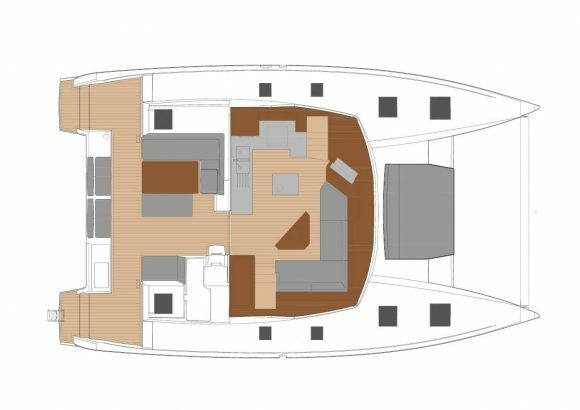 We are proud offering secured one of the first units in the so called Quintet Version offering comfortable accommodation for up to 12 guests in 5 double cabins with additional berths in the saloon or the separate single front bow crew cabin for the skipper and additional hostess or cook. 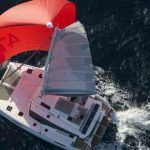 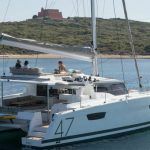 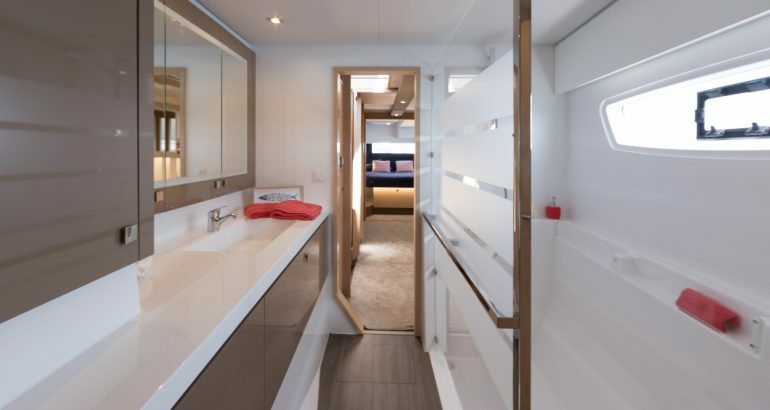 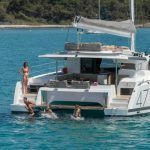 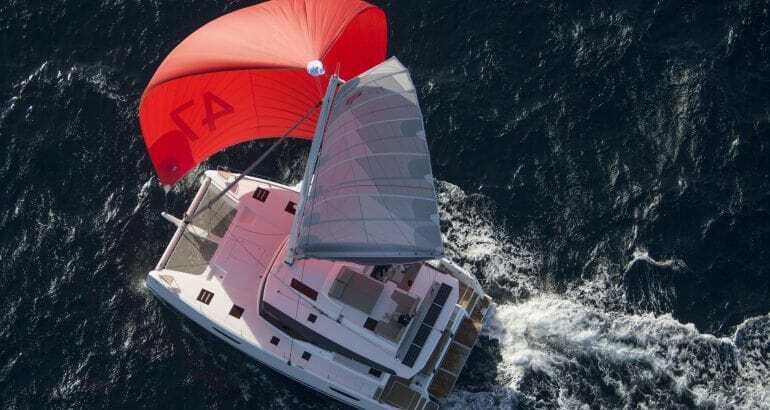 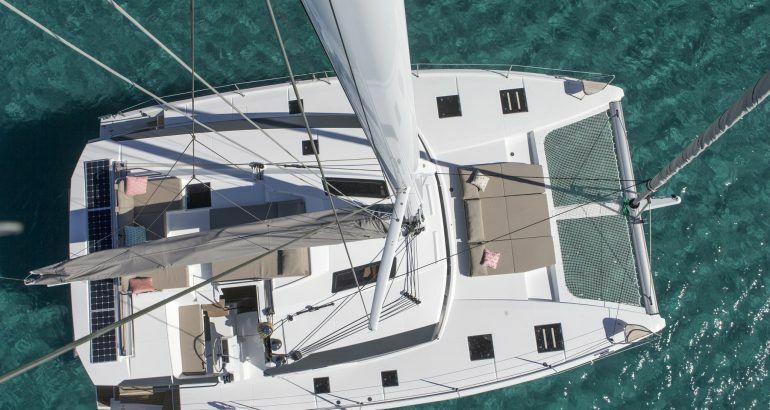 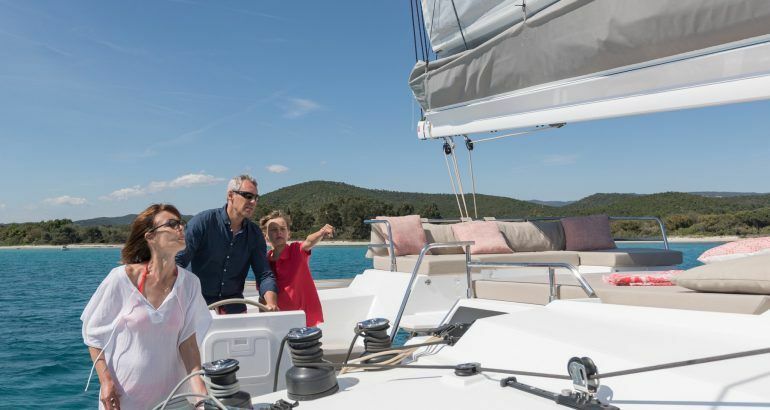 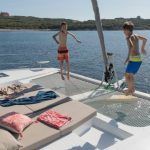 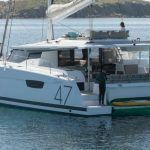 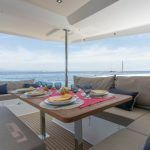 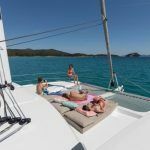 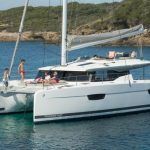 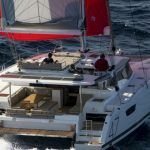 New Saona 47 catamaran for rent in Croatia is the ultimate yacht charter experience packing in features which can be seen with much larger luxury crewed sailing catamarans only. 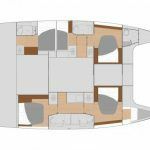 Combining impressive space with a bright illuminated luxury interior with remarkable performance this high quality built is set to be a winning formula. 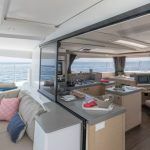 Conceived on the drawing boards of renowned Berret Racoupeau Yacht Design team the new Saona 47 for charter boasts an expansive cockpit with an extended hydraulic aft platform for leisure. 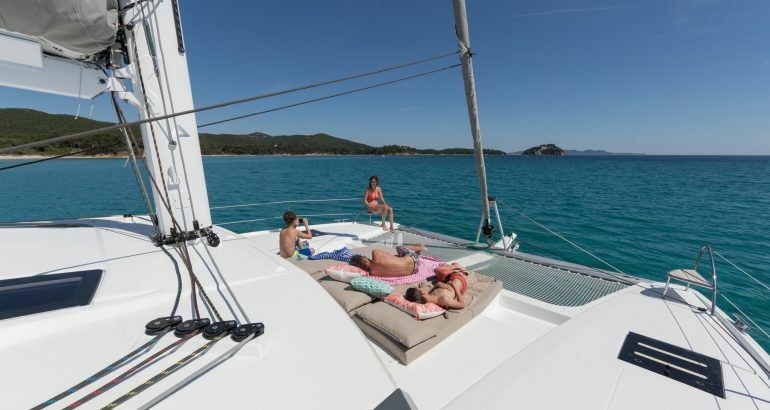 Furthermore sailing catamaran Saona 47 scores with a large foredeck comprising large sunbeds ideal for sunbathing or relaxing. 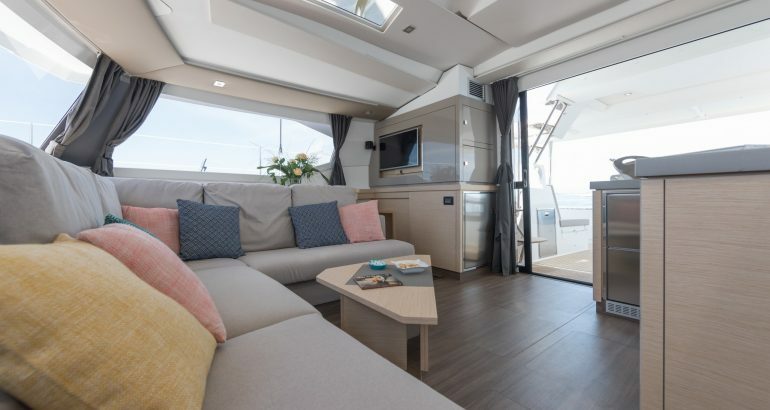 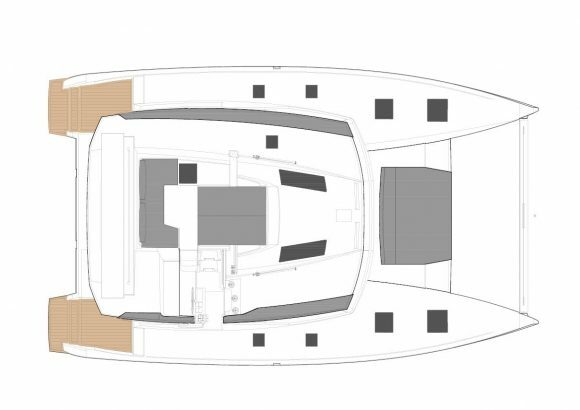 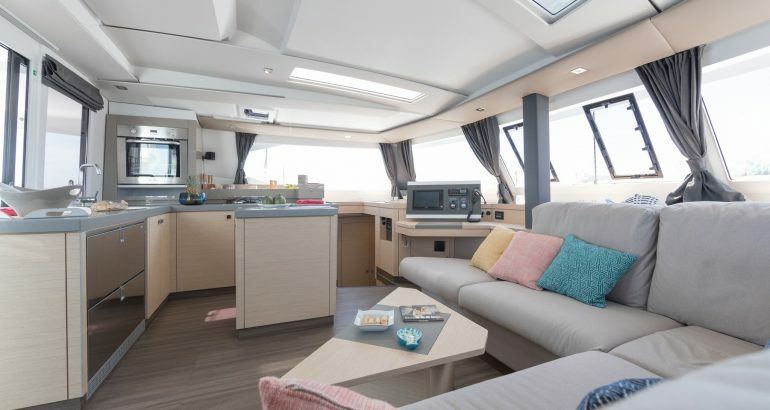 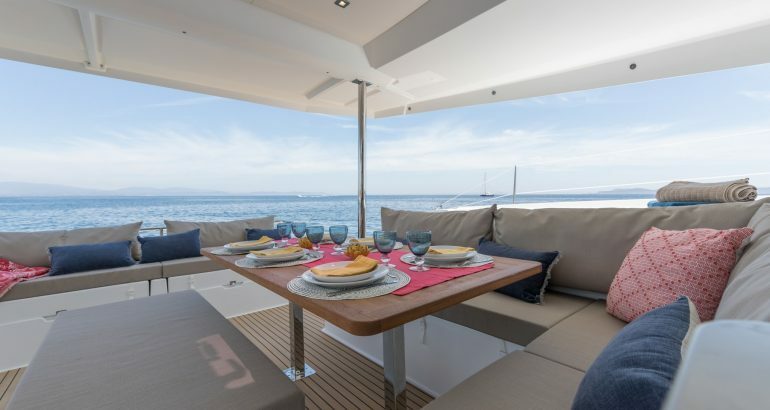 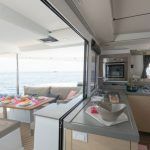 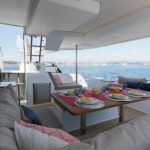 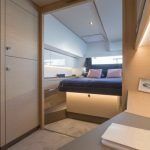 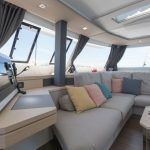 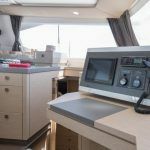 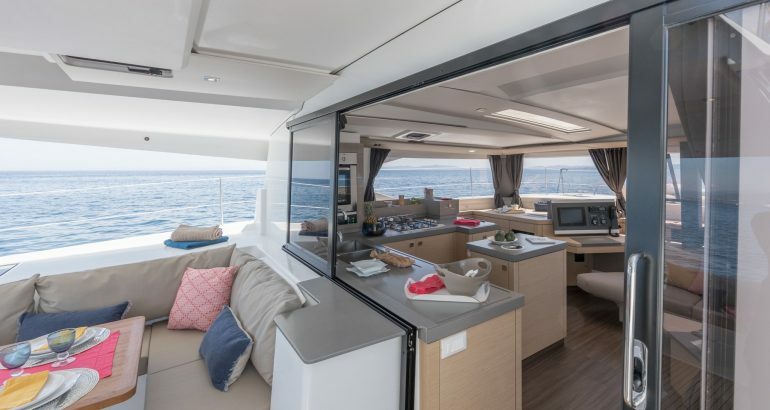 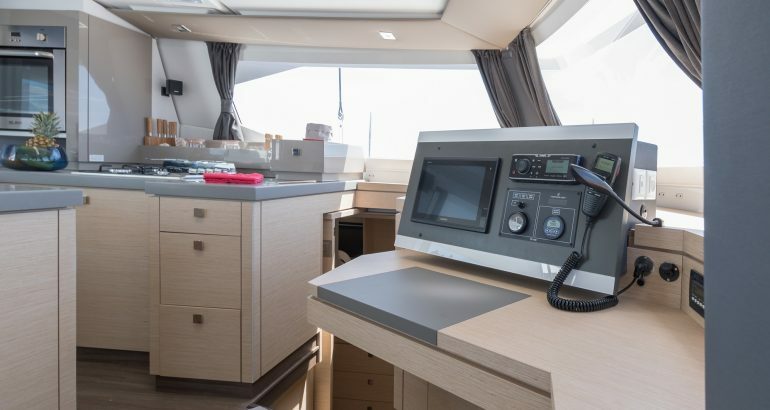 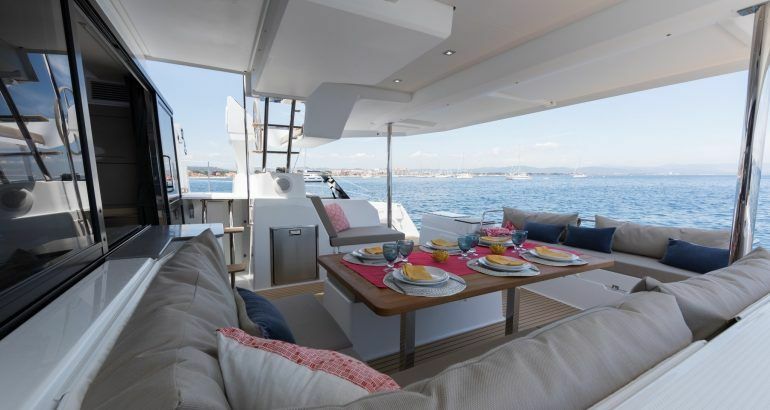 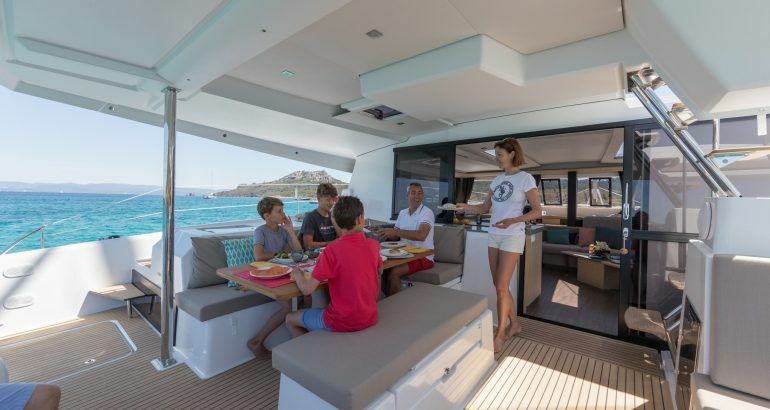 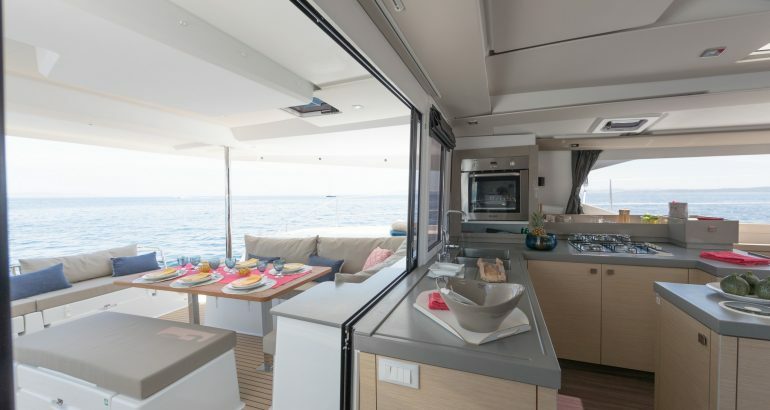 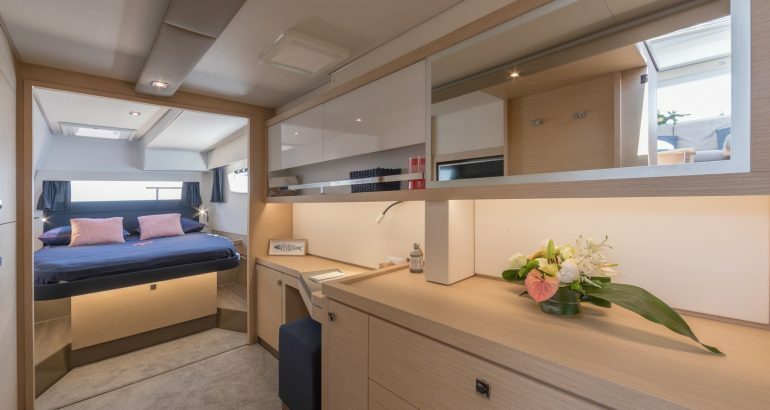 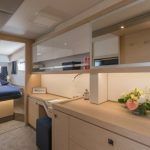 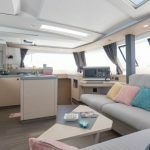 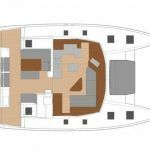 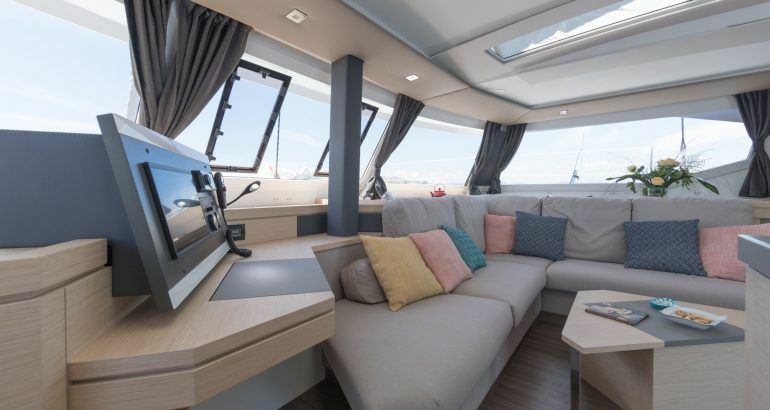 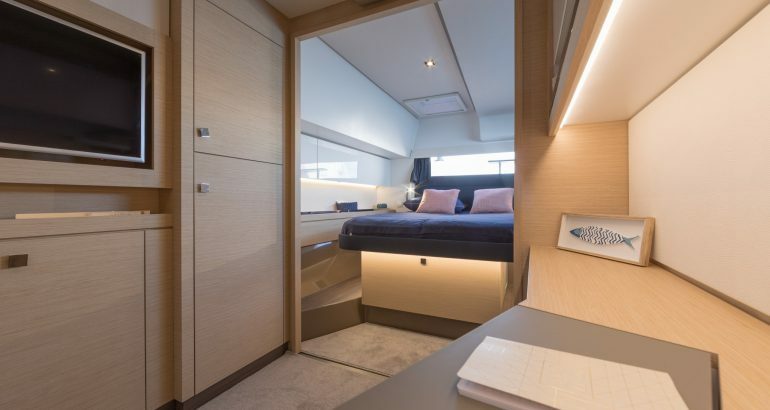 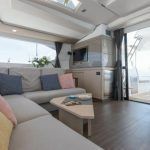 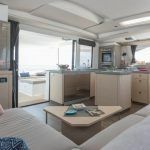 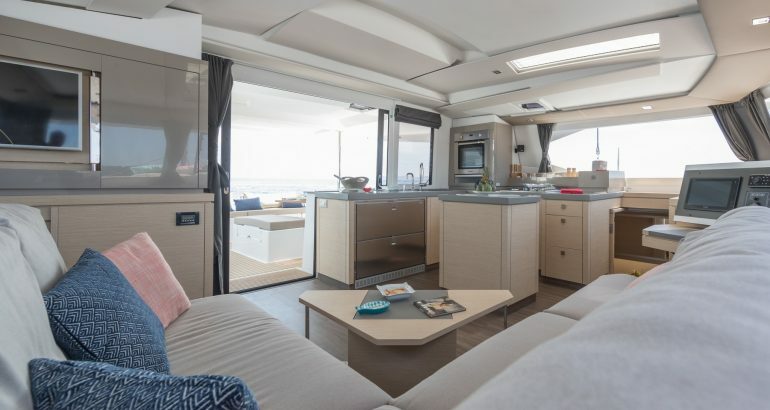 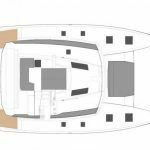 One of the most distinguish design features is her helm station with another lounge area measuring 9 square meters on the coachroof with seating area and sunbeds ensuring spectacular sea views. 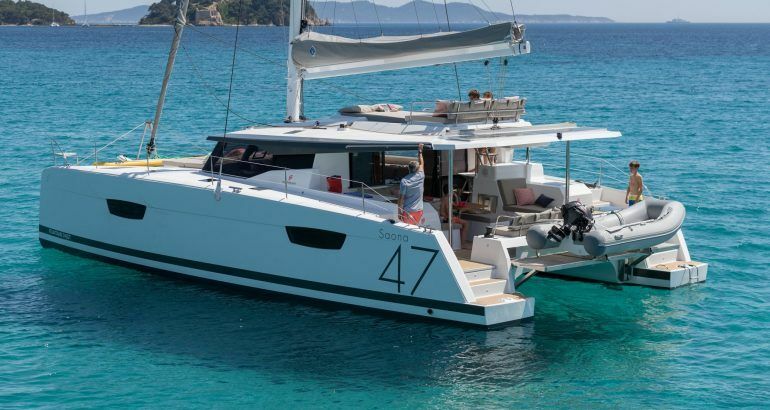 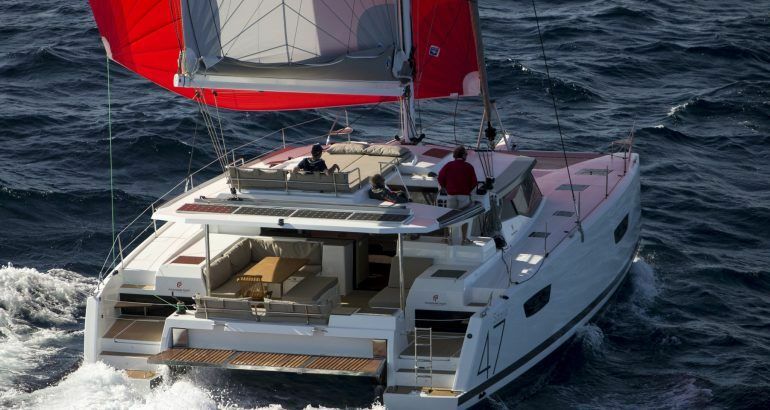 Saona 47 catamaran for rent in Croatia is not just a beautiful face. 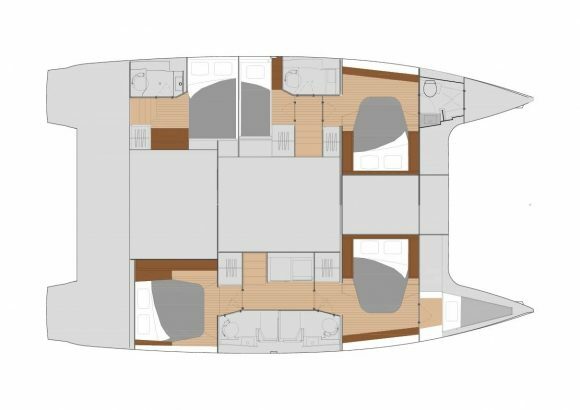 Inside her dynamic look is reflected with a modern interior which is flooded by plenty of natural light thanks to her large windows. 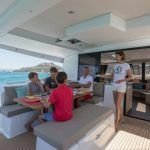 The galley is well-appointed and has an island bench with lots of storage for longer cruising passages. 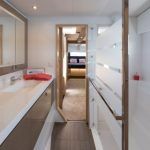 With special equipment like air condition available in all cabins, generator and audio-visual entertainment systems luxury on board has been put to the fore to ensure comfort and independent sailing. 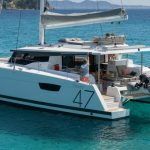 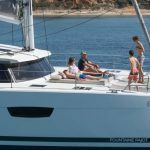 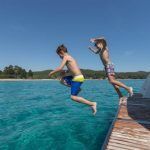 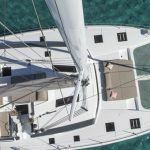 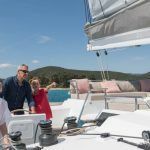 Charter catamaran Fountaine Pajot Saona 47 for hire in Croatia and let us whisk you away for an unforgettable journey along the Adriatic islands from Split, Kastela or Torgir but soon from all bases in Croaita. 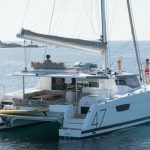 Available for catamaran bareboat charter or with our professional crew this all new sailing yacht can be rented for one way charters to and from Dubrovnik as well as other famous islands subject to availability. 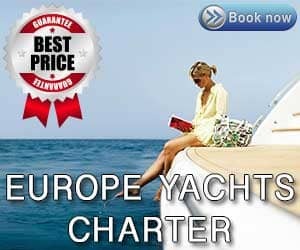 Inquire right now to secure prime dates avoiding disappointment later or availability risks.